With hurricanes regularly rushing through the Panhandle, all Florida businesses urgently need to prepare an action plan to help them survive a tropical storm. 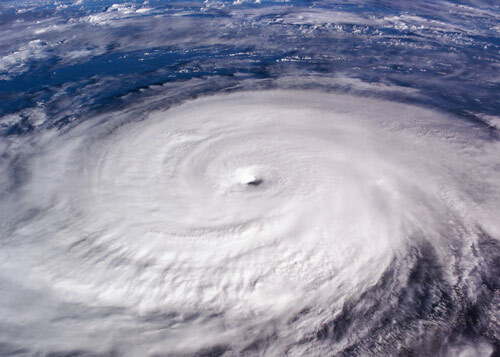 To prepare and protect your company from devastating damage, you need to understand the realities of hurricane season and know the risks a hurricane could pose to your IT infrastructure. You can then put together a disaster recovery plan to help get your business back on track after a hurricane. Hurricanes can cause damage to your business technology in a variety of ways, all of which you must consider during your disaster recovery planning. First, the physical devastation wrought by the strong winds can damage buildings and the data storage facilities or servers they contain. Flying debris can also cause damage to this important business infrastructure. During a hurricane, much of the worst damage is caused by flooding. Being submerged in water can seriously damage IT infrastructure, leading to data loss and making it difficult for your business to resume operations even after the hurricane passes. Even if your server room escapes the worst of the flood damage, employee work stations could end up submerged, making it difficult or impossible for your staff to return to work right away. Finally, you need to consider the possibility of looters taking advantage of the hurricane to steal valuable technology or data from your company. Theft of data is a serious issue as it can lead to your business facing large fines or reputation damage if your customers’ personal or financial data security is compromised by the theft. Disaster recovery planning involves preparing your business to handle the consequences of the next hurricane to shake the Sunshine State. If you do not have a disaster recovery plan in place, the next big hurricane to hit Florida could leave your business unable to operate and could even force your company to shut down. A strong disaster recovery plan allows you to get your IT infrastructure up and running again as quickly as possible, minimizing the effects of the hurricane on your business. A disaster recovery plan is a carefully structured and documented set of procedures for responding to a disaster such as a hurricane. To be fully prepared for disaster, you need to have a step by step plan that lets you know exactly what to do after a hurricane to get your business back to operating at full capacity. Before you can create a detailed disaster recovery plan, you first need to perform a business impact analysis and a risk analysis to work out what risks your business faces in the case of a hurricane or another disaster. You also need to define your recovery time objective and your recovery point objective. These metrics define a goal for how quickly you will get your business working again and what level of functionality you want to restore. 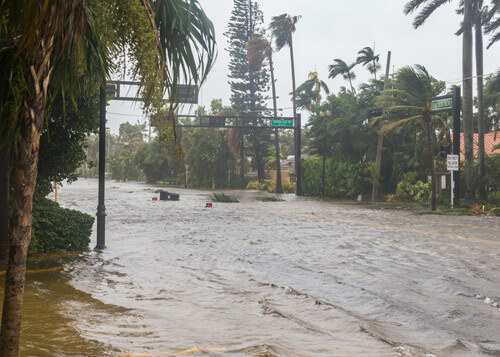 When the next hurricane strikes your Florida business, it will be time for your disaster recovery plan to kick into action. This document will let you know what you need to do to begin the process of cleaning up the damage and restoring your IT systems to full capacity. Your IT disaster recovery plan should include accurate information about how to access your data backups, so you can quickly find and restore the data you need. It should also nominate a person to be in charge of the recovery process. Ideally, more than one person in the organization should be familiar with the recovery procedure so it can be implemented even if the nominated person in charge is not available due to the hurricane. As well as having a procedure in place for recovering your data and operations after a hurricane, your business also needs a plan for what to do when a storm is approaching. This plan should involve a procedure for ensuring that all your data is backed up in a safe location. It should also include a plan for securing your data and property against theft during the chaos of the hurricane. Many businesses put off disaster recovery planning because they find the idea of it overwhelming. However, this kind of procrastination can be very dangerous, as the longer you delay the greater the chance that a big hurricane will sweep through Florida and catch you unprepared. Do not let the next storm catch you out; take action now. If you need help with formulating a disaster recovery plan, an IT support company can provide all the guidance you need. Rather than putting the future of your business at risk through a failure to prepare, get in touch with a trusted IT company now to start the process of developing a robust and reliable disaster recovery plan that ensures your IT infrastructure will survive the storm.